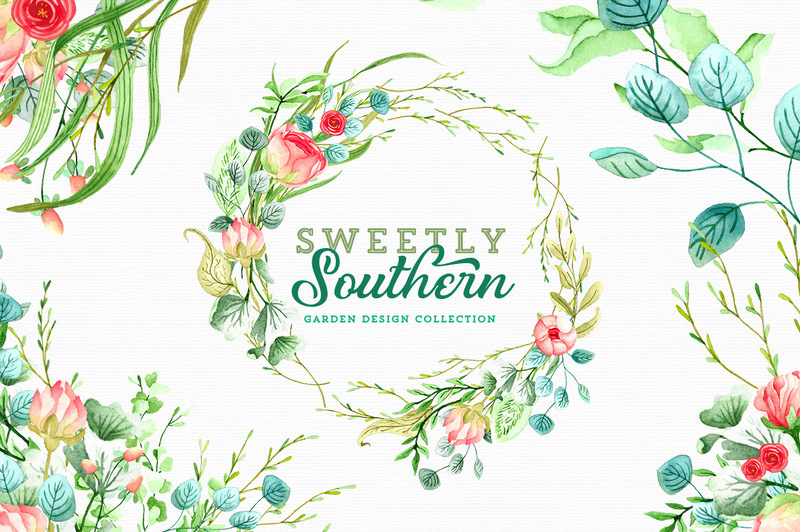 The Sweetly Southern design set is brimming with tons of watercolor garden florals! 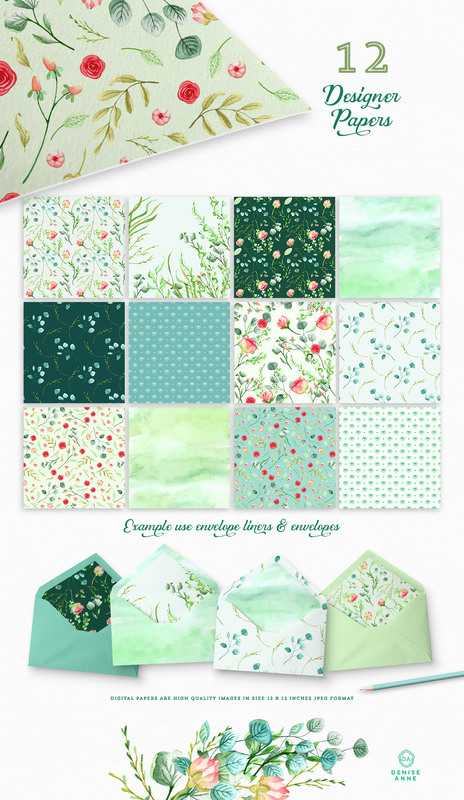 This garden inspired mega design kit is packed with pre-made design elements, card and invitation designs, digital papers, patterns, photography, and so much more! Getting from product idea to creation is easy with the Sweetly Southern graphics, matching garden stock photography images, and patterns that are part of this massive bundle of design elements. • There are over 90 + design files in this huge set of watercolor spring florals! Software compatibility: Adobe Photoshop CS4 or newer. .JPG and .PNG files will work with most graphic software. .PDF files will work for anyone with .PDF reader software. File size is approx 655.5 MB (705.3 MB unzipped), offered as a single download. I absolutely LOVE this set! The colors are beautiful, and they just make me happy. Thanks!! Hello absolutely love your designs , I was just wondering are the designs based with a transparent background to use for print on demand products ? This is a gorgeous selection of illustrations with tons of pre-made compositions as well as individual elements. Saved me a ton of time in creating a suite of wedding stationery and signage for a very picky (and happy!) client. We would love to see anything you have created Aine if you were keen to share and thanks again for taking the time to comment!